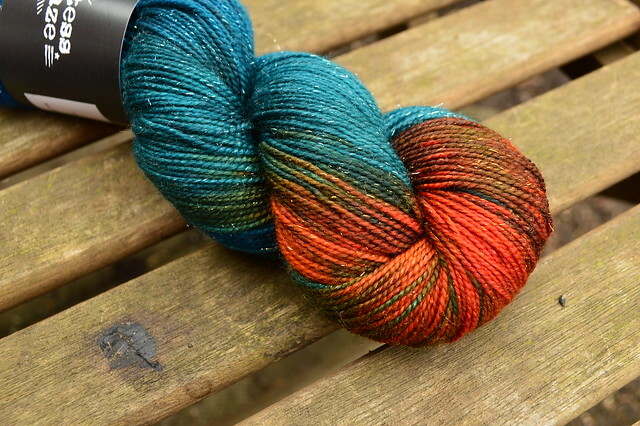 It's called "Big Fish in a Little Pond" by Countess Ablaze and on a 75% merino 20% nylon 5% stellina base. 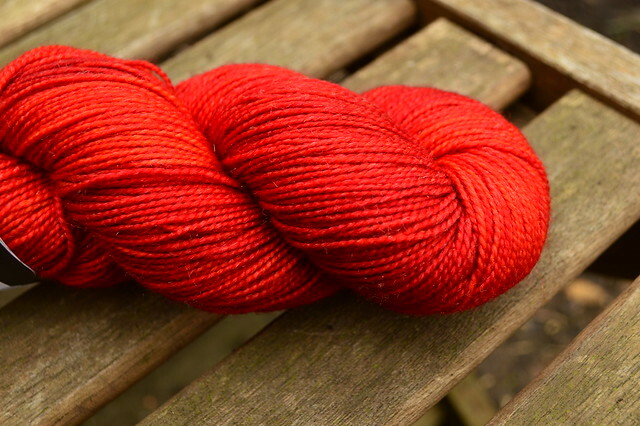 This one is on the same base and is called "You Keep Me On The Edge Of My Seat" and is a red-orange colour. There is some variation in the skein but as it's pretty much the same colour I think it will become something patterned, maybe cables? I'm itching to get some new socks cast on but I'm going to finish a pair first. My rainbow stripey socks are almost finished, I'm on the ribbing now so shouldn't take long. I'll show you some photos of them next week and hopefully some photos of the new socks I've got planned. Sorry you're losing sleep with that buggy cough. I have been lucky to have not caught a cough for quite some time, *knocks on wood*, but I keep hearing about rubbing Vick's on your feet and wearing socks to bed at night. It's supposedly helps. I love this sock yarn. Yeah, why can't the both of you not be able to have the desired colourway? I hope you feel better sooner!! Take care and don't worry about blog hopping, that is the least of your worries!! Love your yarn. You are so weak!! But I totally get it. I have 3 reds in my stash for small garments, I really need to finally make something with them! 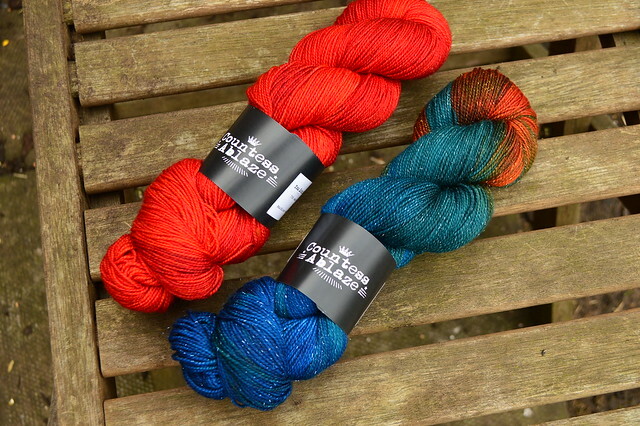 Great answer - I do the same when buying yarn as a gift - one for me and one for the gift!! That yarn is splendid, hope you feel better soon.